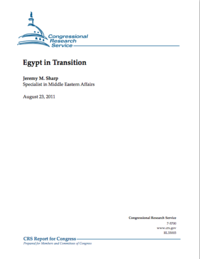 Overview of the transition underway and information on U.S. foreign aid to Egypt. On February 11, 2011, President Hosni Mubarak resigned from the presidency after 29 years in power. For 18 days, a popular peaceful uprising spread across Egypt and ultimately forced Mubarak to cede power to the military. How Egypt transitions to a more democratic system in the months ahead will have major implications for U.S. foreign policy in the Middle East and for other countries in the region ruled by monarchs and dictators. This report provides a brief overview of the transition underway and information on U.S. foreign aid to Egypt. U.S. policy toward Egypt has long been framed as an investment in regional stability, built primarily on long-running military cooperation and sustaining the March 1979 Egyptian-Israeli peace treaty. Successive U.S. Administrations have viewed Egypt’s government as a moderating influence in the Middle East. U.S. policy makers are now grappling with complex questions about the future of U.S.-Egypt relations, and these debates are likely to influence consideration of appropriations and authorization legislation in the 112th Congress. The United States has provided Egypt with an annual average of $2 billion in economic and military foreign assistance since 1979. 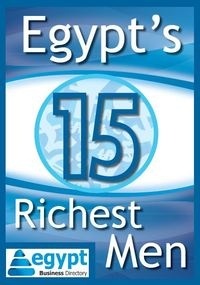 For FY2012, the Obama Administration has requested $1.551 billion in total aid to Egypt. All whitepapers are available to you and free of charge. This whitepapers is provided by Jeremy M. Sharp.